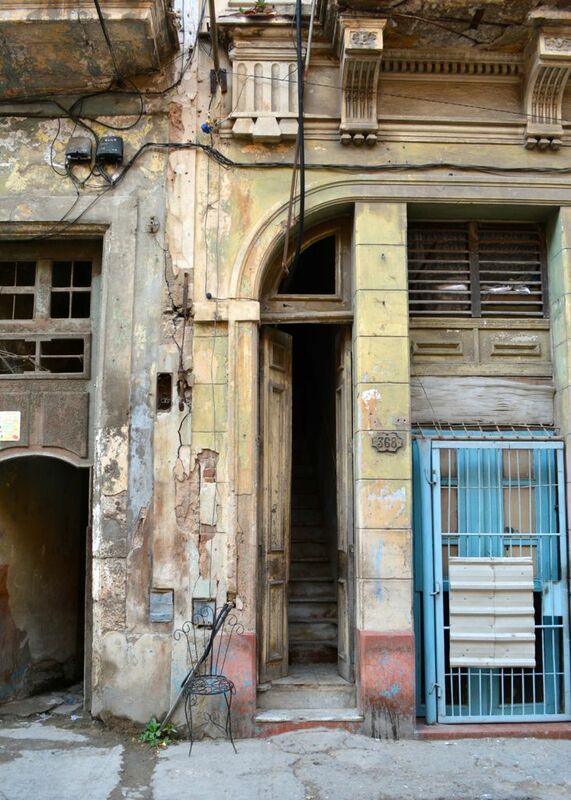 Seeing beauty in the urban decay of the Havana streets. 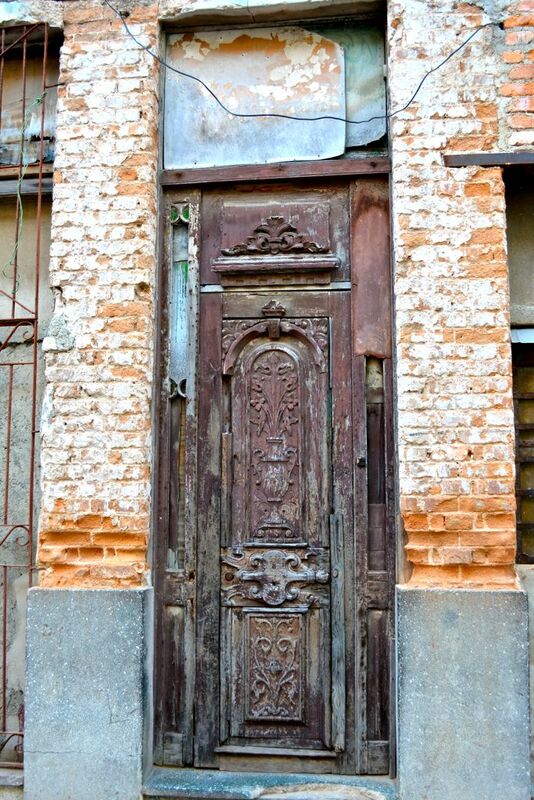 Old doors are mysterious and intriguing. 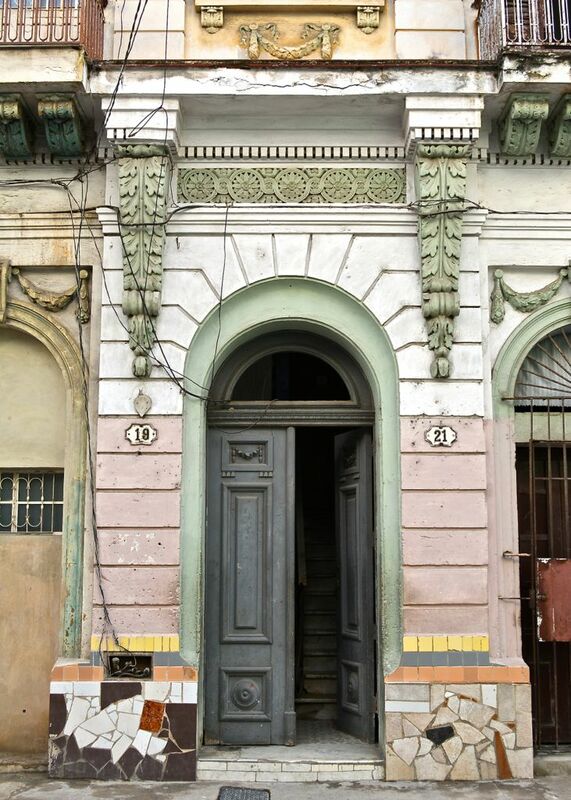 Havana’s magnificent architecture spanning the centuries from Spanish colonization to the 1920’s art deco had a profusion of doors that did just that — keeping us fascinated. 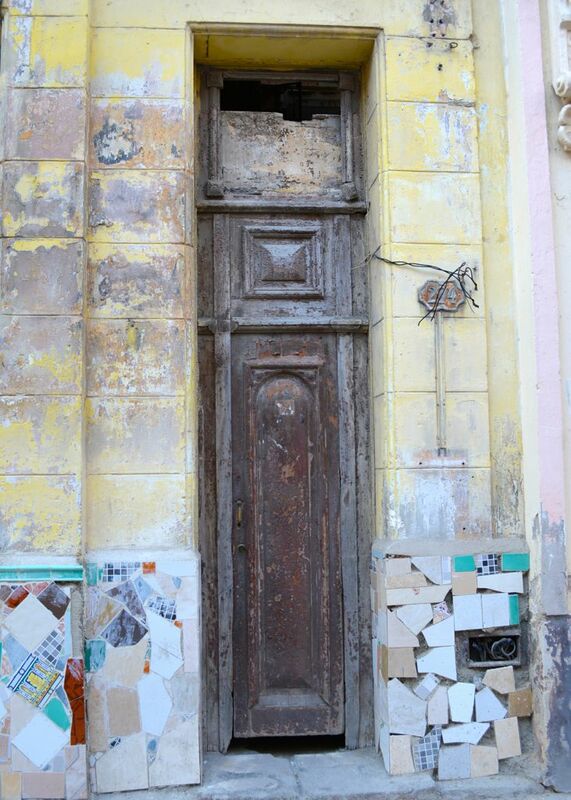 As we wandered the narrow city streets, every few steps we’d stop and admire yet another door; carved or panelled, single or double entry in delightful schemes from pastels to vivid colours — each weathered door delighted. 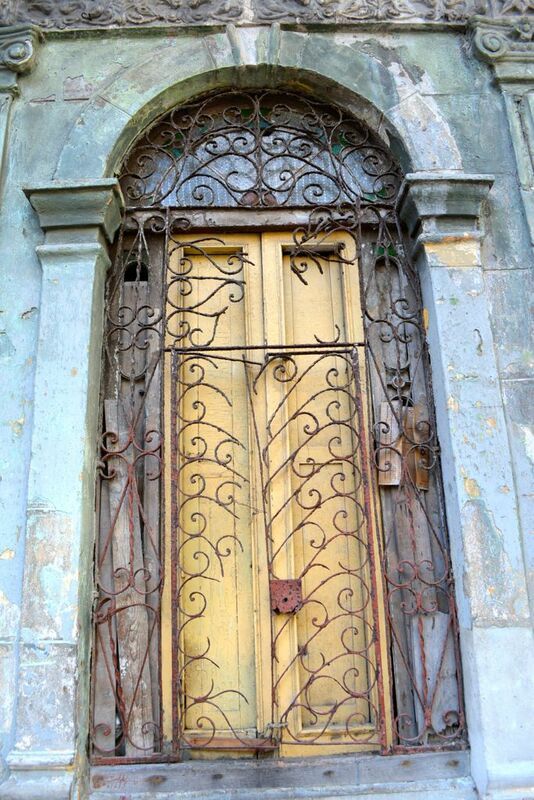 …and see who lived there. 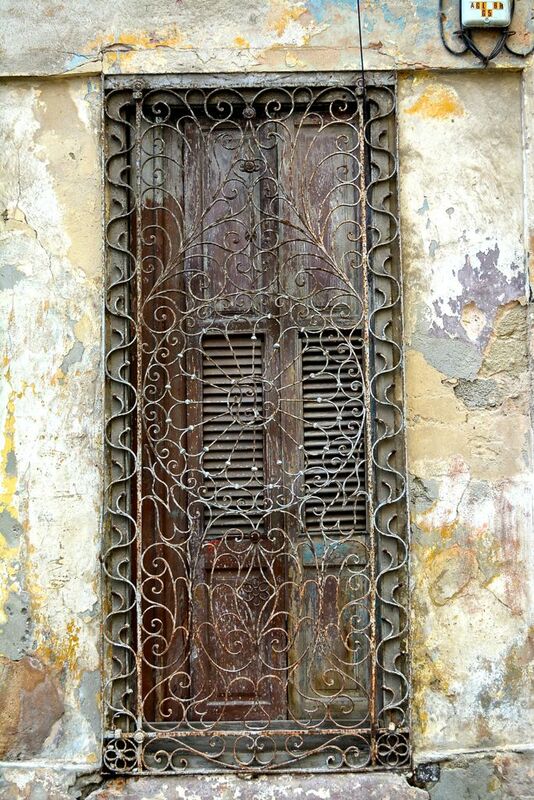 The rajas; grilled windows were just as decorative and alluring. 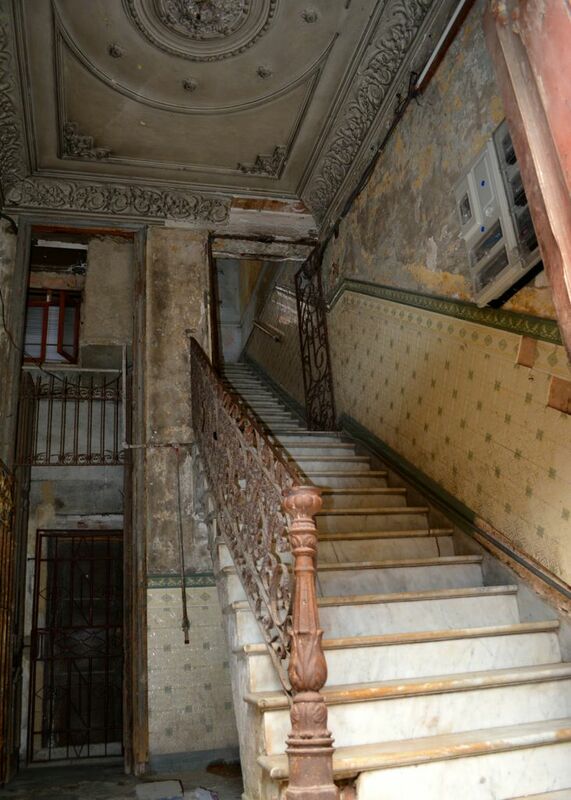 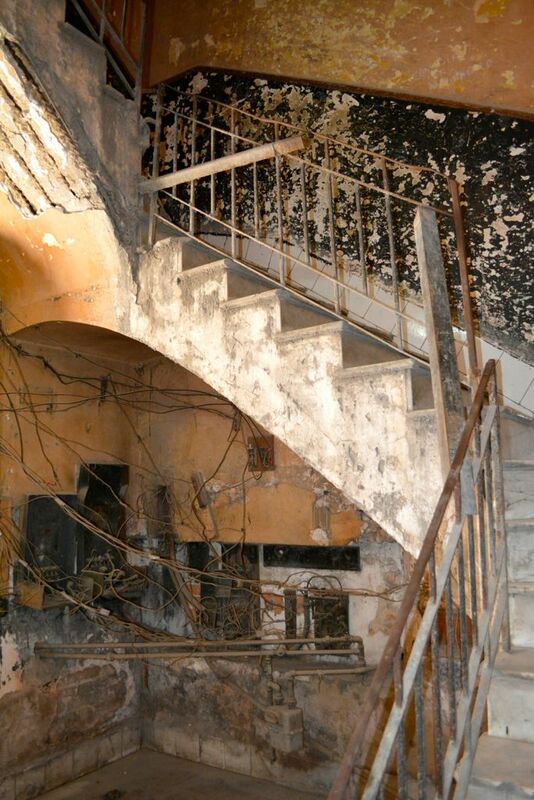 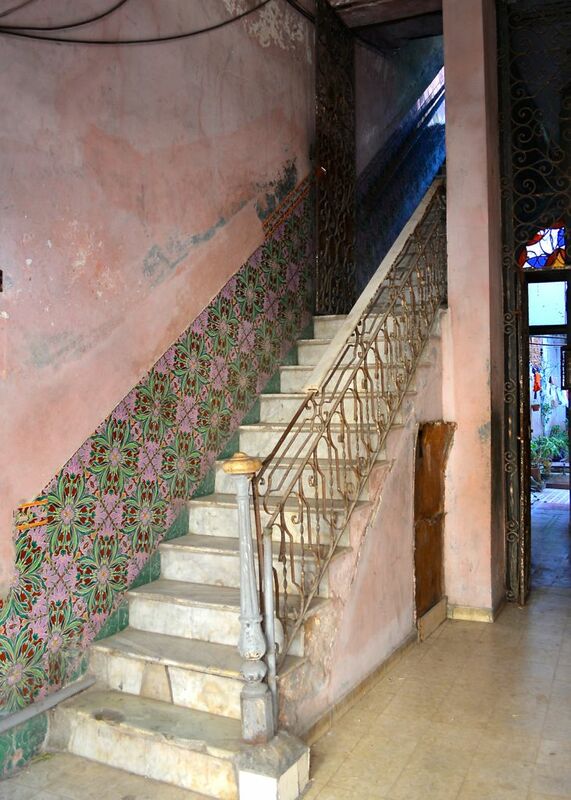 The mystery was too great — we peeked into a once elegant foyer. 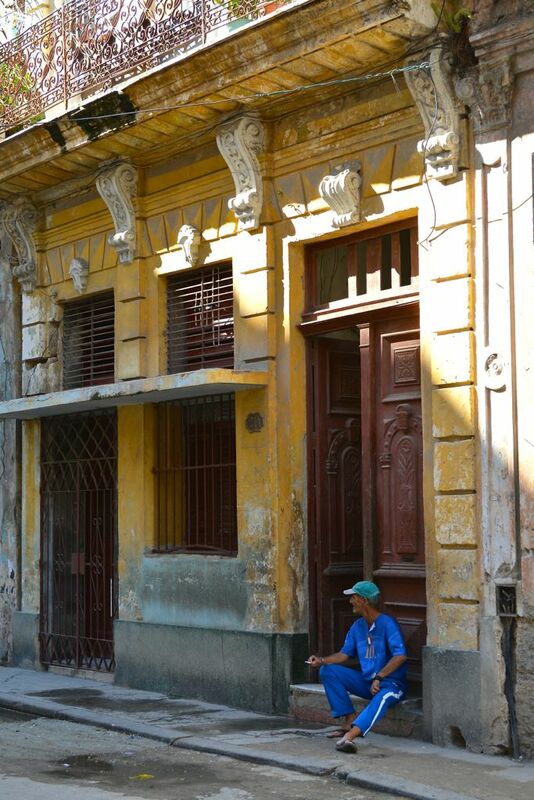 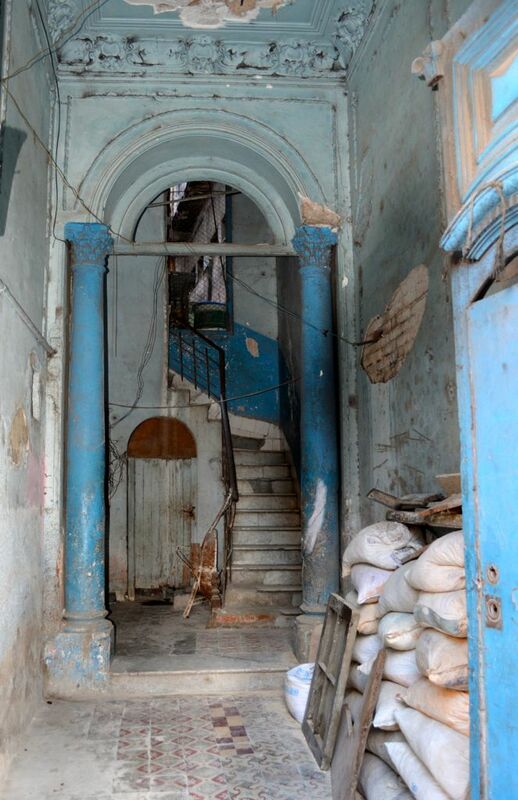 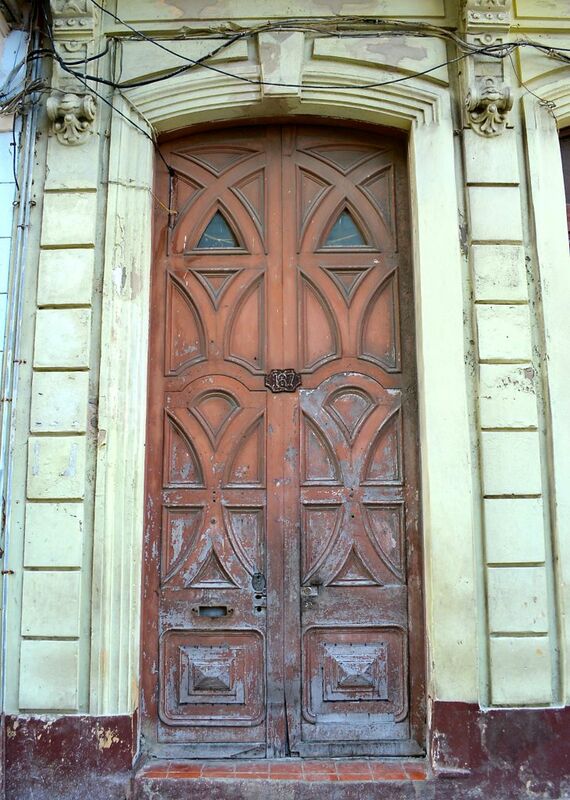 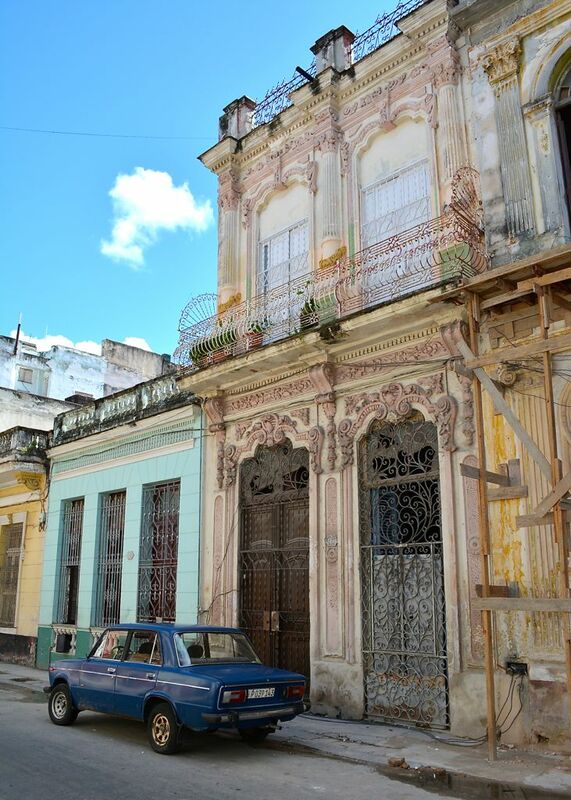 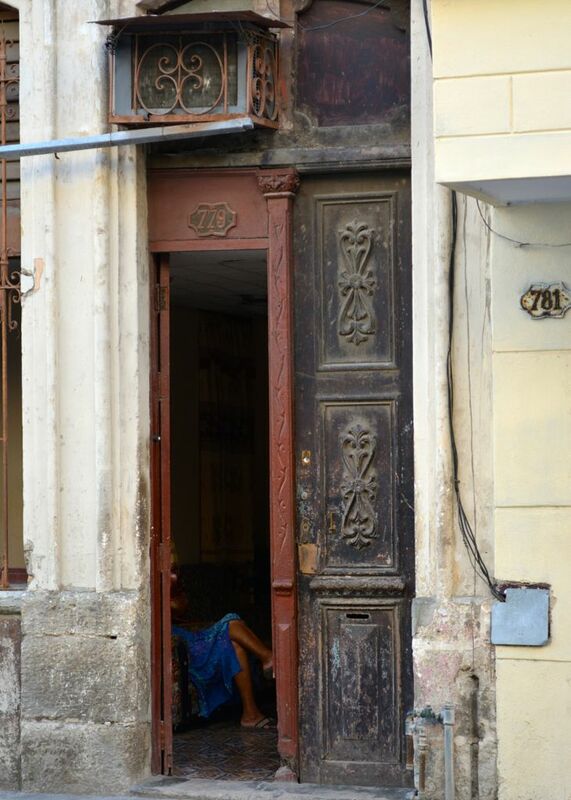 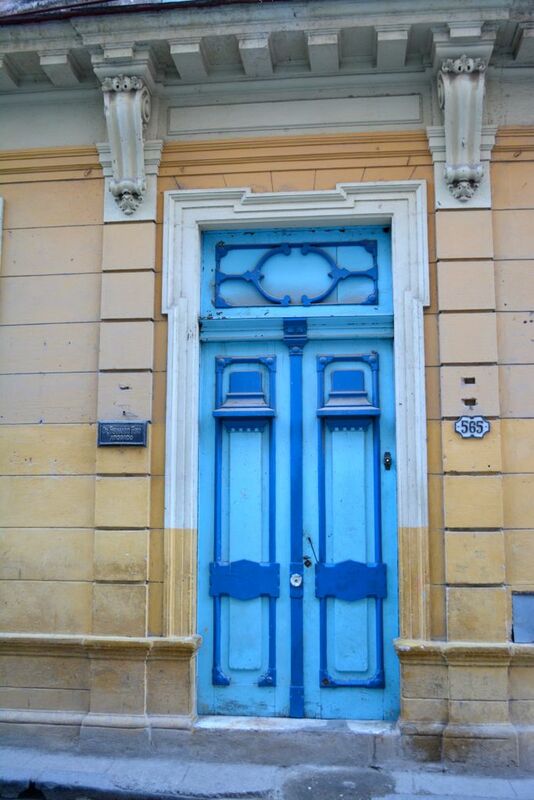 …against the phenomenal deteriorating backdrop of time and imposing doors — Habaneros call this home.